Damian Lillard’s sneaker worn last January versus the Los Angeles Clippers. NEW YORK — “It’s about time,” Ben Simmons said with a smile. The 6-foot-10 point guard for the Philadelphia 76ers, and reigning NBA Rookie of the Year, has only been in the league for two years — but in that time he’s had to hold back on which shoes he breaks out on the court because of the NBA’s footwear restrictions. Yet, starting in the upcoming 2018-19 season, Simmons and other players across the league will be granted sneaker freedom. According to ESPN’s Nick DePaula, for the first time ever, the NBA will allow players to wear sneakers of any color throughout the entire season. “Historically,” as DePaula reported, “all sneakers on a team were restricted to being either 51 percent white or black, plus a minimal team color accent, depending on which team was hosting or visiting.” There are currently no specific guidelines outlined in the NBA’s official rulebook, but varying levels of restrictions have led to warnings, fines and bans of sneakers drawn by athletes. Now, the league is making an effort to allow its players to be more expressive. At the launch event for NBA 2K19 in Brooklyn last week, The Undefeated’s Aaron Dodson caught up with five current players who shared their excitement about the recent change in the NBA’s shoe rule. 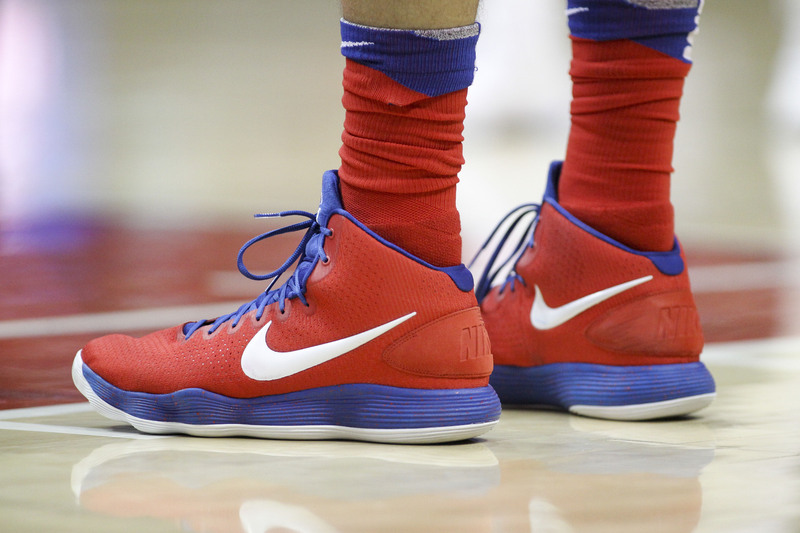 The sneakers worn by Philadelphia 76ers guard Ben Simmons during a game against the Atlanta Hawks on March 30. 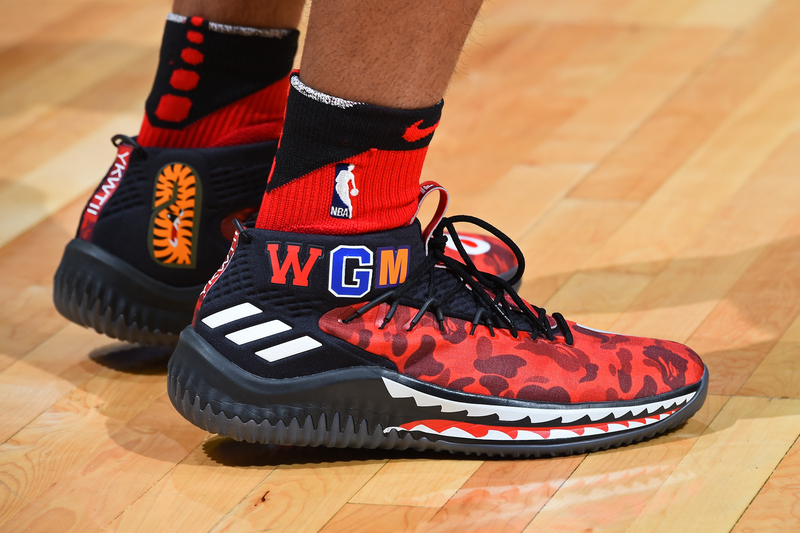 The sneakers worn by Portland Trail Blazers point guard Damian Lillard before a game against the Los Angeles Clippers on Jan. 30. 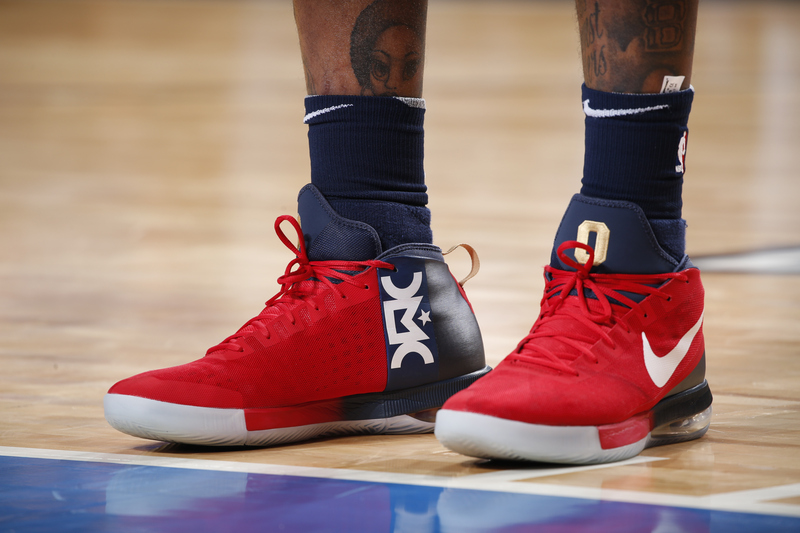 The sneakers worn by New Orleans Pelicans center DeMarcus Cousins during a game against the Dallas Mavericks on Nov. 3, 2017. The sneakers worn by Boston Celtics forward Jayson Tatum during the third quarter against the Milwaukee Bucks in Game 6 of the first round of the 2018 NBA playoffs on April 26. 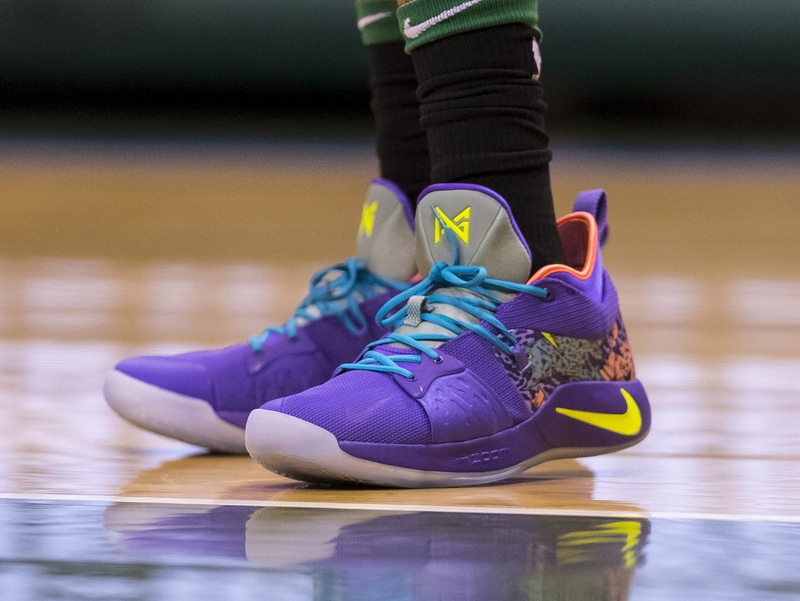 The shoes worn by Milwaukee Bucks forward Giannis Antetokounmpo during the second half of a game on March 28.
and Which NBA player will take most advantage of the new rule?